I will write something properly later, but unusually, Im linking to something I wrote somewhere worky. Mainly, I admit, because it was something I meant to write about here, and then after some pub conversation, I wrote it up for a friend elsewhere instead. 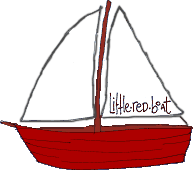 So because it was content that little.red.boat was cruelly cheated out of, I thought I should link to it instead. So theres a little piece on the unparalleled excitement I feel for airline food here. And if youre not registered to comment over there, you can always comment about it over here if you like. And yes, you *have* heard one of those stories before. And yes, yes, I will write something proper later.